Keeping your registry clean is a very important part of computer maintenance, because it ensures that your computer stays fast and stable. 1 What is the registry and why is it there? 2 How do registry errors affect computer performance? 3 How to clean the registry? What is the registry and why is it there? 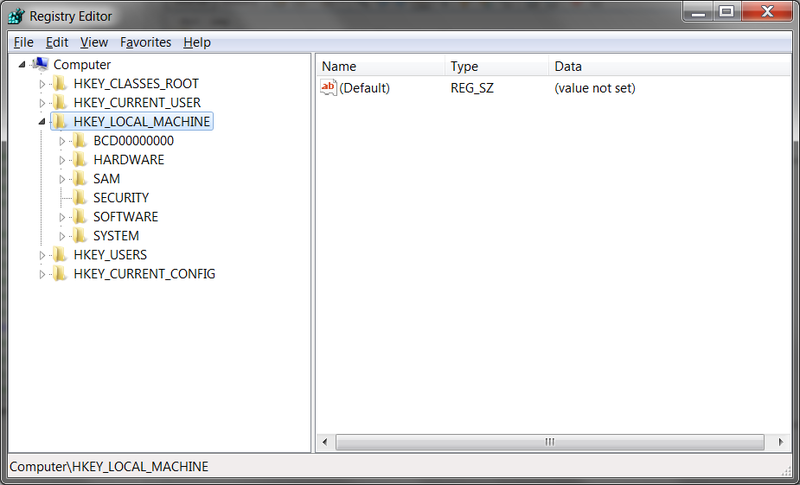 The registry is a database that stores all Windows options and settings. It contains all the data for all hardware, operating system software, all other applications, and all user settings (user profiles, installed software, the type of documents the users create, etc). All that makes the registry the most vital, but also the most vulnerable part of a Windows computer. Programs access the registry thousands of times per second and new entries are created whenever you install new software or hardware. All this makes the registry a very complicated database. That's why it's so important to keep the registry clean and well looked after. How do registry errors affect computer performance? When you uninstall a program, its registry entries get deleted as well. That's the case with most applications. However, some programs leave a lot of rubbish behind. That clutters the registry with obsolete entries that point to non-existent software. Such invalid entries accumulate over time. As a result, Windows needs a lot more time to access the registry and your computer takes longer to respond. Not to mention viruses that love to attack the registry and modify it to make your computer vulnerable and unstable. That's why it's so important to keep the Windows registry junk-free and fix errors. How to clean the registry? These days keeping your registry clean is a lot easier than in the past when you had to open the Registry Editor (Click on Start - Run - type regedit and hit Enter) and find invalid and corrupted entries. That required extensive computer knowledge and was very dangerous, because one entry deleted by mistake could make your computer unbootable. the registry cleaner is not promising to fix every possible error on your computer. A lot of errors need specific fixes that are not related to the registry. Good examples of reliable free registry cleaners are Auslogics Registry Cleaner and CCleaner. Both come from reputable developers, are very easy to use, and offer you to backup the registry, so that you can undo any changes if there are any problems.